Engineered wood flooring is a type of hardwood flooring which is composed of multiple layers of timber stuck together, and then finished with a layer of hardwood lamella. Engineered wood has become the popular choice for retailers and customers alike. Its feel and look is identical to solid wood but with many other benefits: It is stronger, more stable and is compatible with most under floor heating systems. 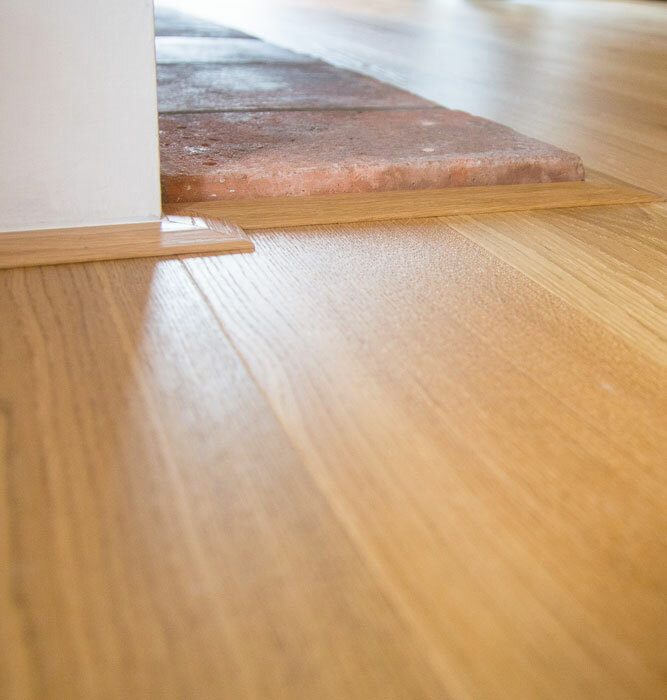 As with solid wood, engineered wood can also be sanded back and resealed if the need arises. Our range of engineered planks are available in all wood species (oak, walnut, acacia) with the most popular still being oak. You can choose from many different finishes, the most natural being the matt lacquer or oiled option. We have a variety of plank widths and thicknesses available to suit all situations. Home Choice Flooring only uses qualified carpenters to fit their engineered wood, not carpet fitters; whose expertise lies within their own trade.